Over the past decade, startups that disrupt entire industries have become synonyms with success. TV shows like Halt and Catch Fire and movies like The Social Network showcase what goes on behind the scenes in Silicon Valley’s tech-heavy startup culture. If you want a piece of the startup pie but don’t know where to start, the Secrets from Silicon Valley class will give you a leg up on the competition. This expert-led class teaches you how to survive, grow and thrive in today’s competitive startup culture. Whether your small business is tech-based or rooted in consumer products, you can benefit from these lessons. You’ll discover how to create an eye-catching website on a budget, how to maximize your time with efficiency techniques and how to manage a new era of remote workers. Thirteen different business icons lead these courses. For example, the CEO of Redfin, a modern real estate listings site, will teach you how to sell your company without selling your soul. The founder of oDesk, one of the world’s largest online workplaces, tackles productivity at work. The CEO of Zillow, another real estate giant, draws on his 15 years of success for surefire advice on starting your own business. 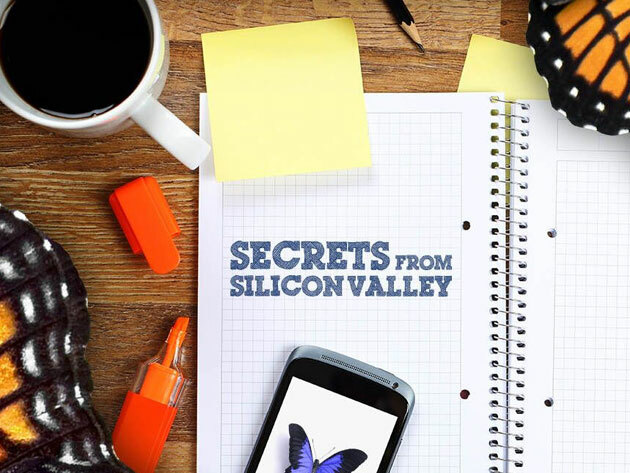 Usually, Secrets from Silicon Valley would set you back $29, but right now you can gain insider insight for just $9.99 (65% off).